Whether a fossil specimen or fossil species belongs in the genus Homo or not depends on what is meant by the genus Homo. From an evolutionary perspective what Cunroe has done is in principle valid. 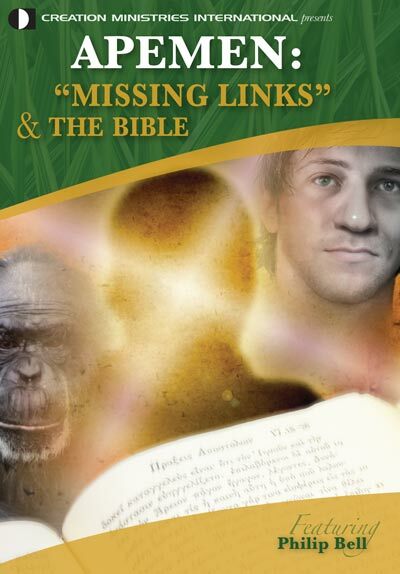 However, from a creationist point of view, species such as Homo gautengensis (real or imagined) are unlikely to correlate with the biblical kind,7 the latter generally being a broader taxon than the species. For example, all members of the genus Australopithecus may well be traced back to just one or two different biblical kinds. Whether a fossil specimen or fossil species belongs in the genus Homo or not depends on what is meant by the genus Homo. If the genus Homo is a compilation of fossil specimens that were fully human, that is, descendants of Adam and Eve, then obviously extinct apes8 such as the australopiths9 are omitted. In that case members of the genus Homo are all part of the same human kind, regardless of whether the fossils are designated as belonging to Homo sapiens, Homo neanderthalensis, Homo heidelbergensis or Homo erectus. Also, all species in the genus Homo would need to be reclassified as Homo sapiens if Homo sapiens is equated with the human kind (since all descendants of Adam can intermarry, they are obviously the same species). However, for ease of discussion, since the anthropology literature is saturated with the terms, it is often convenient to use the above names for the different human fossil ‘species’ when referring to them. Of course, evolutionists do not look at it this way, and would define the makeup of the genus Homo differently, but it is a useful classification scheme from a creation point of view. The question of interest here then is whether Homo gautengensis should really be categorized as Australopithecus gautengensis instead, if indeed it is a species. That is, does it represent humans or extinct australopith apes? Although the type specimen (holotype) for Homo gautengensis is the partial Sterkfontein cranium Stw 53, the list of other representatives used to describe the species (paratypes) is quite long.10 Stw 53 is a heavily reconstructed cranium, discovered in 1976, that has previously been (or still is) assigned to or associated with Australopithecus africanus, a robust australopithecine, or Homo habilis.11 Kuman and Clarke list several major morphological traits of Stw 53 that they believe warrant its inclusion in the genus Australopithecus, including an estimated cranial capacity in the Australopithecus range, teeth that are very large (typical of Australopithecus), a nasal skeleton ‘flattened as in the apes and in Australopithecus’, and a braincase that ‘is frontally narrow and restricted’ (typical of Australopithecus africanus, for example, specimen Sts 5—nicknamed ‘Mrs Ples’).12 No stone tools were associated with the Stw 53 fossil cranium.13 As noted by Cartmill and Smith, paleoanthropologist Milford Wolpoff ‘asserts that Stw 53 most closely resembles A. africanus specimens from Sterkfontein Member 4 in such features as its shallow mandibular fossa, the form of its mastoid region, its vault shape as seen from rear, and the presence of anterior pillars in its face.’14 From a creation perspective it would seem that Stw 53 is an australopith, and so does not belong in the genus Homo. Interestingly, in a National Geographic article by James Owen about the study, Curnoe is noted as believing that Homo gautengensis appeared “too late in the evolutionary time line to be our direct ancestor”, but that “the potential new species had humanlike characteristics”.21 This leads to an important point. The view that if the australopiths were only apes then they would show no humanlike traits is a false hypothesis, used by some evolutionists to set up a straw man of the creationist position that they can then easily falsify (that is, any humanlike characteristics are used as evidence that australopiths were intermediates between apes and humans),22 but which in reality does not represent the creationist position. Nor is it even logical, since modern apes clearly demonstrate many characters in common with humans. The article by Owen states that “Compared with modern humans, the new species had proportionally long arms, a projecting face somewhat like a chimp’s, larger teeth, and a smaller brain—though not too small for verbal communication.”21 How it can be known that “the new species had proportionally long arms” is unclear, given that no postcranial material was associated with the species. However, computed tomography (CT) scans of the bony labyrinth of the inner ear have shown that the semicircular canal dimensions in the crania of Stw 53 indicated that it “relied less on bipedal behaviour than the australopithecines”.23 The above study by Spoor et al also referred to the “modern-human-like labyrinth of SK 847”, which was said to be “consistent with its attribution to H. erectus, and the extreme differences in labyrinthine morphology between SK 847 and Stw 53 make attribution of both specimens to the same species, on this evidence alone, highly unlikely.”23 Hence, there is a real possibility that Homo gautengensis is based on a mixture of fossil fragments derived from both australopith and Homo erectus, which would be unsurprising given the state of incompleteness of the partial SK 847 cranium. Hence, we are back to the original problem of Homo habilis (where the fossil specimens SK 847 and Stw 53 were earlier placed)—that it is most likely a compilation of fossil specimens from different species, most of them belonging to the australopiths, but perhaps also a few fragments from Homo erectus. It reminds one of the old saying, the more things change the more they stay the same. Hence, it seems that more controversy lies ahead with respect to Homo gautengensis and Australopithecus sediba, which is par for the course in paleoanthropology. “The newfound Australopithecus—with its tiny brain and long, apelike arms and wrists adapted to life in trees—’is much more primitive than Homo gautengensis’ yet they both ‘lived at the same time and in the same place,’ he said. 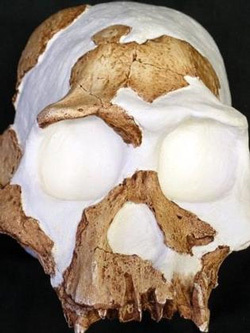 Paleontologist Fred Spoor is stated as noting that “the A. sediba team had argued that Stw 53 is a more primitive skull than that of A. sediba. In other words, H. gautengensis may not be human at all but an apelike australopithecine.”23 Hence, it seems that more controversy lies ahead with respect to Homo gautengensis and Australopithecus sediba, which is par for the course in paleoanthropology. The Australopithecus sediba find was discussed earlier by the current author,24 and since then there has been little more news out from the Lee Berger camp concerning their fossil find. The most surprising news about Australopithecus sediba, after the initial fanfare surrounding its announcement died down, was the interpretation of the new fossil species by creationist Todd Wood. Wood applied statistical baraminological techniques (baraminic distance correlation and multidimensional scaling) to craniodental character states (postcranial information was not considered), with the datasets used for this selected from the literature.25 From his analysis he found that “the present results indicate that Homo habilis, Homo rudolfensis, and—most surprisingly—Australopithecus sediba belong in the human holobaramin.”26 Hence, they were all pronounced fully human (descendants of Adam and Eve), despite Wood admitting to “sediba’s extremely ape-like forearms”.27 As a result, he comes up with the farcical statement that “the dispersal of the human population from Babel would presumably have been led by H. habilis and H. rudolfensis, specimens of which appear stratigraphically lower than any other human species.”28 Moreover, his comment about “the significance of human-like australopiths and the ape-like humans”26 appears almost to concede the issue to the evolutionists. Wood’s analysis … certainly does not warrant sweeping conclusions that effectively extend the range of human variation to apish creatures swinging in trees like Tarzan. The problem, as stated by Daniel Lieberman, is that “no one has come up with a satisfactory way to define or test the independence of morphological characters”.29 Cladistic analysis using morphological character traits has been unsuccessful in human evolutionary studies, as one would expect if evolution is false. As a result of their study evolutionists Mark Collard and Bernard Wood concluded that “the type of craniodental characters that have hitherto been used in hominin phylogenetics are probably not reliable for reconstructing the phylogenetic relationships of higher primate species and genera, including those among the hominins.”32 In 1990 evolutionist Erik Trinkaus commented that until better methods were established cladistics would “remain little more than a heuristic device for the preliminary sorting of the known hominid fossil record.”33 One doubts much has changed. Todd Wood never even discusses specific craniodental character states in his analysis, and one doubts that he has fared any better than evolutionists in finding a solution to the problem posed by the interrelationships of morphological characters—just one of many problems associated with these types of studies. Used in the hands of someone who acknowledges the limitations, these studies may have applications. However, when used recklessly as some kind of a ‘be all and end all’ human-australopith ‘truth detector’ the outcome is worse than useless—it is downright misleading. In some ways the result of Wood’s analysis is so wrong it can be refuted by simple observation. Consider the similarities of the Australopithecus sediba cranium to that of the Australopithecus africanus cranium Sts 71 from Sterkfontein.34 Then ask yourself, is a technique to be trusted that finds more similarities between the Australopithecus sediba skull and a modern human skull, than between the Australopithecus sediba skull and the Australopithecus africanus skull, to the point where Australopithecus sediba is classified as human and Australopithecus africanus is classified as an extinct australopith-type ape? Something is not right. One wonders about the next ‘baraminological’ entry into the human family. Curnoe, D., A review of early Homo in southern Africa focusing on cranial, mandibular and dental remains, with the description of a new species (Homo gautengensis sp. Nov.), HOMO-J. Comp. Hum. Biol., 61:151–177, 2010; pp 171–172. Return to text. In this context sensu lato refers to Homo habilis defined in a wide or broad sense. For example, it would encompass specimens assigned to Homo rudolfensis. Return to text. Means having widely dissimilar elements or constituents. Return to text. Wood, B. and Collard, M., The changing face of genus Homo, Evol. Anthropol., 8:195–207, 1999; p. 204. Return to text. Tattersall, I., The Fossil Trail: How We Know What We Think We Know about Human Evolution, Second Edition, Oxford University Press, New York, pp. 271–274, 279, 2009. Return to text. Line, P., Fossil evidence for alleged apemen—Part 1: the genus Homo, J. Creation, 19(1):22–32, 2005; pp. 22–24. Return to text. 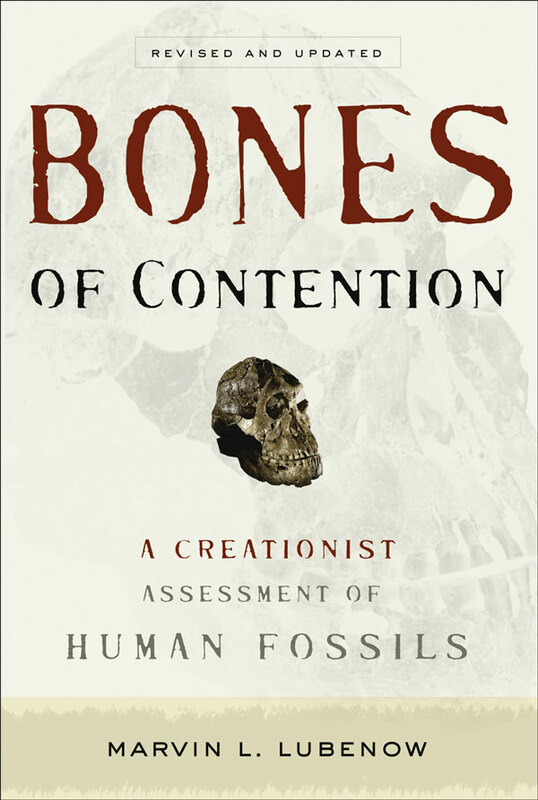 Lubenow, M.L., Bones of Contention: A Creationist Assessment of Human Fossils, Revised and Updated, Baker Books, Grand Rapids, Michigan, p. 187, 2004. Return to text. I use the term ‘apes’ here in a broad ‘lay’ sense to mean apelike non-human primates. This is not intended to suggest that australopiths, for example, are merely minor variants of extant apes, nor to contradict assessments by evolutionists such as Oxnard that their anatomy was uniquely different in many respects from both extant apes and humans. But if they were alive today, they would probably be regarded as ‘apes’. Return to text. Collectively all alleged hominids outside the genus Homo are sometimes informally referred to as ‘australopiths’ by evolutionists, but when talking more specifically the genus and/or species name is used. The term ‘australopithecine’ refers specifically to members of the genus Australopithecus. Return to text. Curnoe, ref. 1, p. 172. Return to text. Curnoe, ref. 1, pp. 157–159. Return to text. Kuman, K. and Clarke, R.J., Stratigraphy, artefact industries and hominid associations for Sterkfontein, Member 5, J. Hum. Evol., 38:827–847, 2000; p. 841. Return to text. Kuman and Clarke, ref. 12, p. 832. Return to text. Cartmill, M. and Smith, F.H., The Human Lineage, Wiley-Blackwell, New Jersey, p. 231, 2009. Return to text. Curnoe, ref. 1, pp. 159–163. Return to text. Curnoe, D. And Tobias, P.V., Description, new reconstruction, comparative anatomy, and classification of the Sterkfontein Stw 53 cranium, with discussions about the taxonomy of other southern African early Homo remains, J. Hum. Evol., 50:36–77, 2006; p. 75. Return to text. Line, ref. 6, p. 23. Return to text. Curnoe and Tobias, ref. 16, pp. 72–75. Return to text. The teeth of SK 27 were analysed by Curnoe, but the cranium appears not to have been considered. Return to text. Curnoe, ref. 1, p. 151. Return to text. Owen, J., Oldest Human Species Found: May Have Been Cannibal? 26 May 2010 (Available at <news.nationalgeographic.com/news/2010/05/100526-science-homo-gautengensis-human-species/>, 30 May 2010). Return to text. Senter, P., Were Australopithecines Ape–Human Intermediates or Just Apes? A Test of Both Hypotheses Using the “Lucy” Skeleton, The American Biology Teacher, 72(2):70–76, 2010; p. 70. Return to text. Spoor, F., Wood, B. and Zonneveld, F., Implications of early hominid labyrinthine morphology for evolution of human bipedal locomotion, Nature, 369:645–648, 1994; p. 648. Return to text. Line, P., Australopithecus sediba – no human ancestor: new alleged hominid ignites debate, but is no missing link, 15 April 2010, <www.creation.com/sediba-not-human-ancestor>, 15 April 2010. Return to text. Wood, T.C., Baraminological Analysis Places Homo habilis, Homo rudolfensis, and Australopithecus sediba in the Human Holobaramin, Answers Research Journal, 3:71–90, 2010. Return to text. Wood, ref. 25, p. 71. Return to text. Wood, ref. 25, p. 81. Return to text. Wood, ref. 25, p. 86. Return to text. Lieberman, D.E., Homology and hominid phylogeny: problems and potential solutions, Evol. Anthropol., 7(4):142–151, 1999; p. 143. Return to text. Conroy lists many characteristics of the robust australopith skull that may result simply “from the developmental consequences of having extremely large postcanine teeth and relatively small anterior teeth. The massive molars require a tall, vertical ascending ramus to anchor them, as well as to anchor the massive muscles of mastication that insert on this part of the mandible (e.g., masseters, lateral and medial pterygoids, temporalis). The small front teeth alter the configuration of the floor of the nose. The interface between the nose and the mouth, the hard palate, has to readjust its orientation and thicken during development, thereby setting off a cascade of interrelated ontogenetic patterns that ultimately define the robust australopith face and neurocranium.” From: Conroy, G.C., Reconstructing Human Origins, Second Edition, W.W. Norton & Company, New York, pp. 235–236, 2005. Return to text. Conroy, ref. 30, pp. 236–237. Return to text. Collard, M. and Wood, B., How reliable are human phylogenetic hypotheses? PNAS USA, 97:5003–5006, 2000; p. 5005. Return to text. Trinkaus, E., Cladistics and the hominid fossil record, Am. J. Phys. Anthropol., 83:1–11, 1990; p. 8. Return to text. Hawks, J., What, if anything, is Australopithecus sediba? 8 April 2010 (Available at <johnhawks.net/weblog/fossils/sediba/malapa-berger-description-2010.html>, 10 April 2010). Return to text.